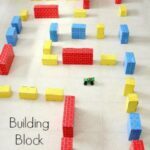 All summer long I have been buying and creating educational toys and games that I could use to keep Evan occupied while I am taking care of the baby. I hadn’t quite figured out how I would organize all of the items. 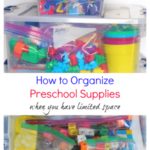 I have seen lots of blog posts regarding busy bags and I figured I would do something similar, but there were also many items (Melissa and Doug puzzles, file folder games, etc.) that didn’t fit in bags. 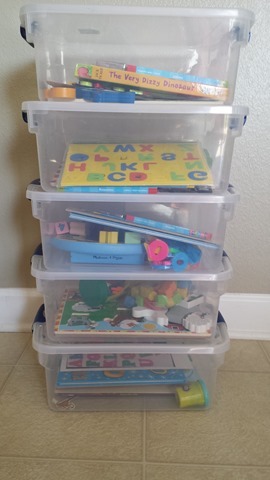 Then I came across a better way to organize everything when Carisa from 1+1+1=1 posted about her All By Myself Preschool Boxes. She puts a bunch of items in a plastic box and has a different one for each day of the week. That’s when it dawned on me that the larger items I had collected would fit in these plastic boxes. Similarly, I can put several different items in a box devoted to a specific day of the week. This way each thing in a box will only be played with one day a week. This will keep me from pulling out certain items too often while forgetting about others. Plus, it will keep them fresh and exciting. My goal is to continue collecting things and to change out the contents of the boxes every month or so. In regards to what is in the boxes, I have been getting most of the items in the Target $1 Spot and Dollar Tree. I’ve also picked up Melissa and Doug puzzles and toys at Michaels with the 40% off coupons they give out very frequently. As a result, I haven’t blown the budget to stock these boxes. 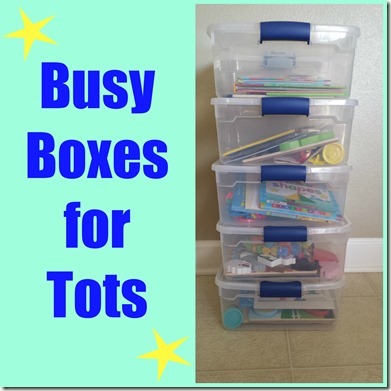 If you pick up a few things every week or two, it only takes a short time to have enough to start these boxes. Plus, you probably already have many things around the house that you could put it in them as well. Just put them up for now while you are collecting and then they’ll be exciting again when you are ready to introduce the boxes. You can make things as well. 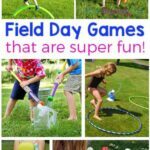 Check out Pinterest and you will find file folder games you can print and put together, busy bag ideas, and quiet time box ideas. 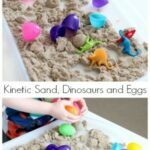 There are so many things you can make with empty food containers, paper towel rolls, etc. 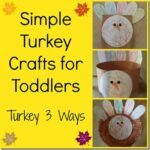 A few simple items such as craft sticks, pipe cleaners, pom poms and clothes pins can go a long way in creating many different learning activities. Currently, Evan is doing open-ended play with all of the items. I don’t have any specific activities or lessons I want him to accomplish when playing with the items in the boxes. 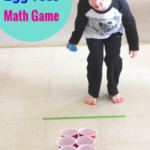 I have shown him how to play the file folder games and sometimes we play with those individually, but when he’s going through the contents of the box I just let him go to town and do whatever he wants with the items. I may encourage him to complete the puzzles or play the file folder games by the rules later on when I have more time to get involved while he’s playing with them. So far he’s really enjoying his time with the boxes. They keep him occupied for about 30 minutes. There’s a time of day shortly before lunch when I need to feed Alyssa and get her down for a nap, but Evan is usually wanting to wild play and get me to join in. It’s at this time, that I pull the box out and give it to him. Then I can feed the baby and get her down before Evan and I have lunch and more play time together. 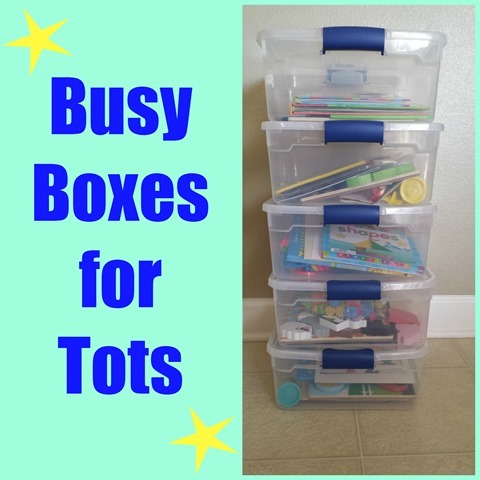 I want to add some busy bags to the boxes for added activities. If you know of any neat ones, please leave a comment and let me know about them. This post is linked up at 1+1+1=1.